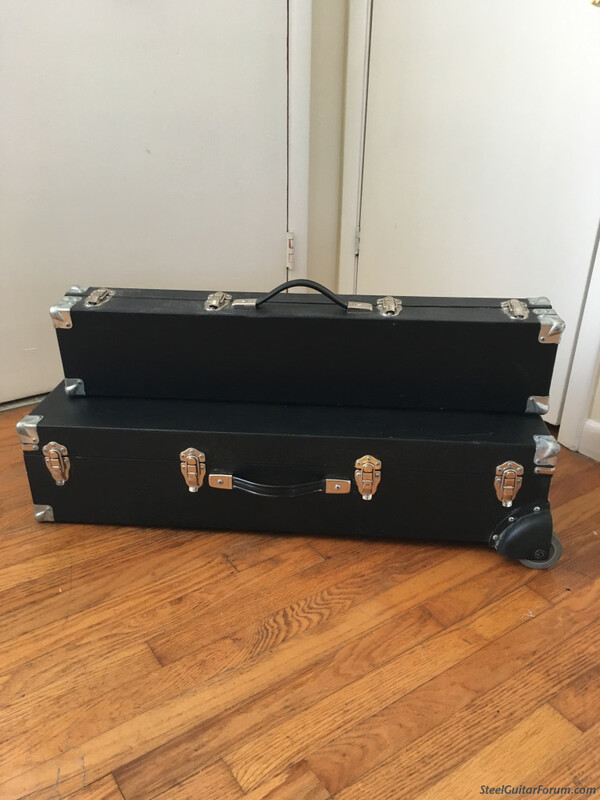 I've got a set of Hatton split cases in great shape with some normal wear. 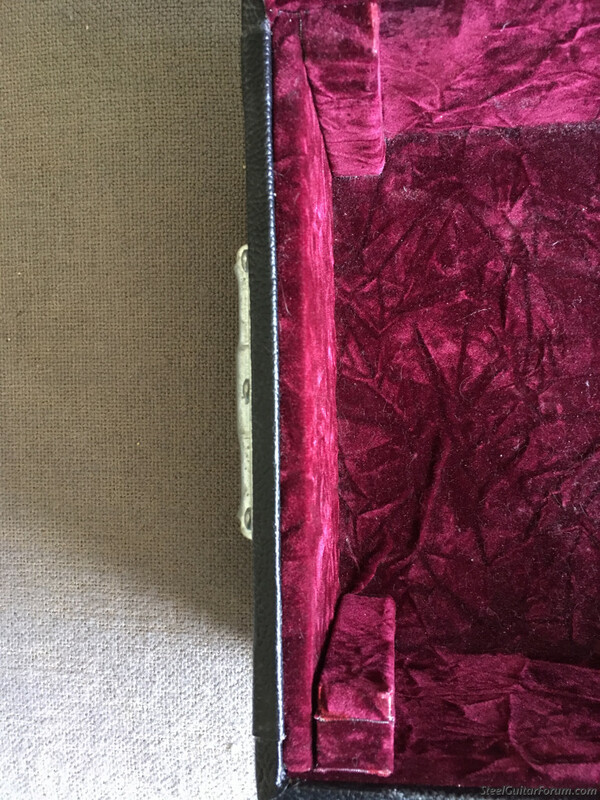 This case has blocks on the changer end to protect switches on end plates as seen on Franklin and other various guitars. It also has wheels that can be taken off but I find them quite handy. 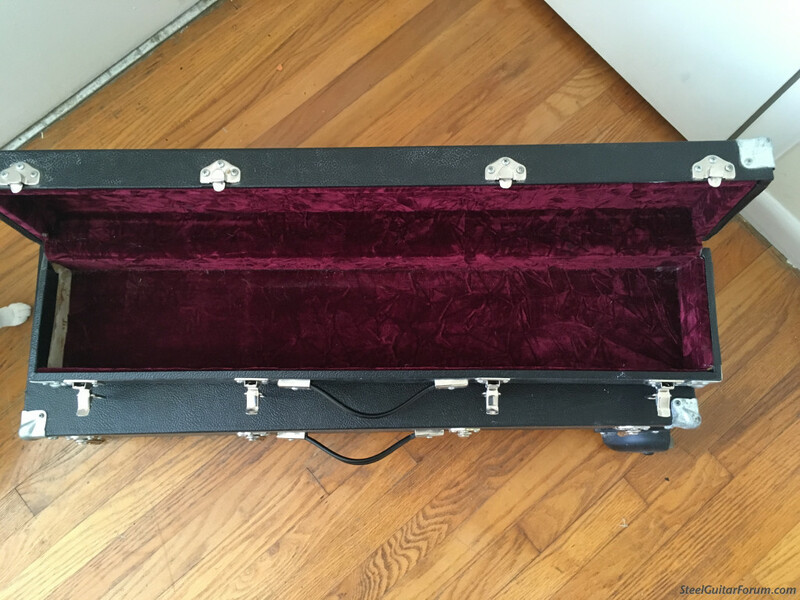 The dimensions for the guitar half of the case are 5 1/2 " from the bottom of the case to the top. 33 5/8 " from the blocks at the changer end to the Keyhead end and 11 3/8 " wide. These dimensions are for the inside of the case. Buyer pays shipping. 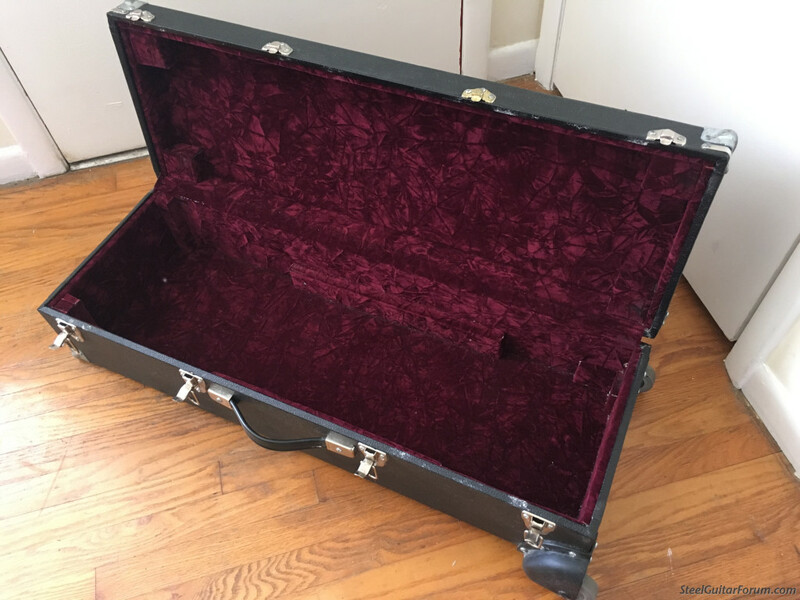 What brand guitar did you use the case for? Thanks for inquiring. 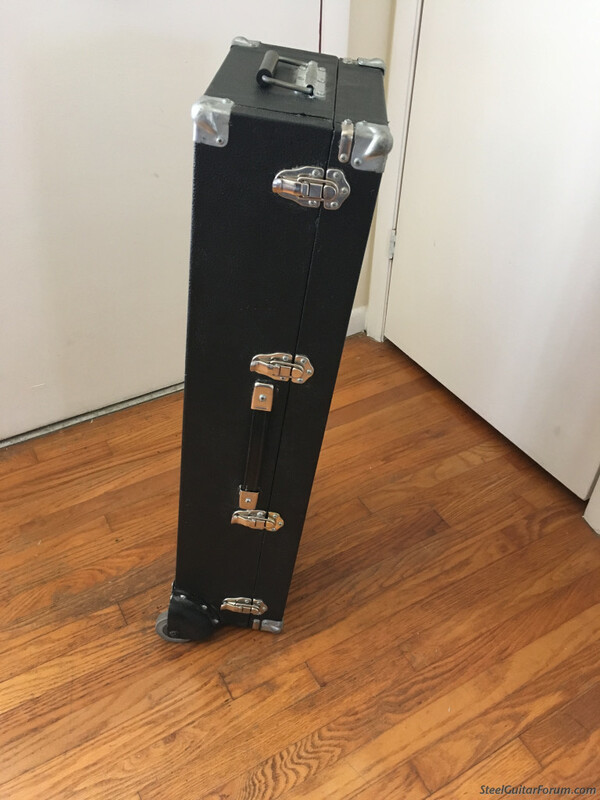 Since I bought this case I have used it for a Carter d-10 and a Dekley D-10.